With so many indoor options to explore, there’s no need to fear the cold wind on your cheeks and frozen fingers. 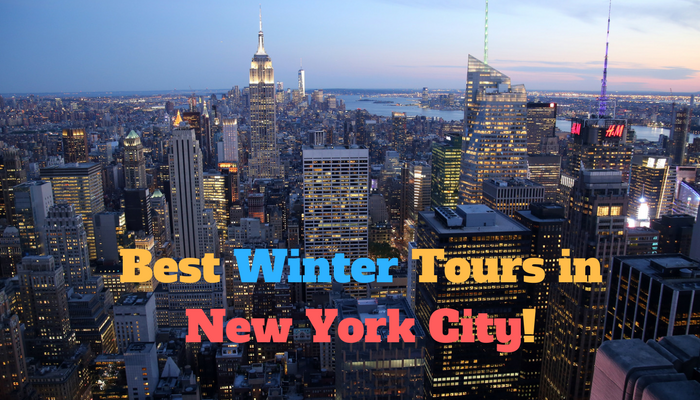 Bundle up and get out on one of these epic winter tours to make some memories that will last a lifetime! Too cold to venture outdoors? We have the perfect tour for you. Visit the awe-inspiring Metropolitan Museum of Art in the heart of New York City like never before. On this 1.5-hour Viator VIP tour, you’ll follow a museum guide for a private tour of some of the most precious artifacts and historical pieces of art in existence. The Met is one of the most prestigious museums in the world, with over six million visitors eager to visit every year. You’ll feel like a celebrity with private access to the museum before the general public is even lining up! No one will stand in your way when you want a selfie with a Vincent van Gogh or Jackson Pollock. Taste your way through the century old Grand Central Station on this 2-hour walking tour that’s fit for foodies. You’ll stroll through one of the world’s largest train terminals, while discovering the hidden gems and architectural highlights that are easy to miss without a guide. Work your way through the must-see spots inside Grand Central, like the Kissing Room, the Whispering Gallery, and the Station Master’s Office, while stopping to graze at gourmet shops along the way. Your guide will unveil the station’s many secrets, including one that’s hidden in the Zodiac ceiling that arcs over the Main Concourse. Click here for tickets and availability. One of the best way to stay warm in the dead of a New York City winter is by sipping cocktails at one of the trendiest Speakeasies in town. You’ll travel back in time to the roaring twenties as you join this tour of Manhattan’s best and most secretive speakeasies. From a secret password to a special knock, you’ll enter through bank vault doors, phone booths and back alley ways for an authentic taste of the Prohibition. Taste authentic cocktails while you learn all about the Prohibition era and what it was like to sneak around for a stiff martini. If you’re looking for adventure, look no further than a helicopter tour of New York City. You’ll feel as if you are viewing the city from a snow globe in your hands. This New York helicopter tour gives you an aerial view of New York City as you’ve never been before. You’ll spot the Empire State Building, Statue of Liberty and more as you soar above the crowded streets below. Disclosure: This website includes affiliate links and we are compensated if you make a purchase after clicking one of the links.